Best practices. Case studies. Solutions. The Friday deadline to submit your proposal for the HIMSS and Healthcare Finance News Revenue Cycle Solutions Summit in Las Vegas, Feb. 29, at the HIMSS16 Annual Conference is fast approaching. The one-day event focuses on how the modern healthcare delivery system uses technology to drive improvement throughout the revenue cycle and will emphasize the increasing use of data and analytics in healthcare finance. Click here to submit your proposal and for additional information. The Revenue Cycle Solutions Summit focuses on peer-to peer education and delivers information to healthcare revenue cycle, finance and IT support teams from throughout the U.S. The summit provides attendees with best practices, case studies, innovation approaches and valuable tools to help them optimize the payment process and improve financial outcomes. Presentations should be practical, actionable and solutions-based. Case studies are a priority for this event. Submissions from vendors are not accepted. However, vendors may submit proposals on behalf of provider and payer customers. Event attendees will be seeking insight into how to use technology to, among other things, right-size revenue cycle staff, conquer ICD-10, improve workflow and coding, reduce denials, enhance patient experience, standardize and centralize processes, improve A/R, and transition to value-based healthcare, Obamacare and other new care and delivery models. Presentations should be practical, actionable, and solutions-based. Case studies are a priority, especially those that show how technology has delivered a tangible ROI. Submissions will only be accepted from payer and provider organizations, government agencies, and academic institutions. Only rarely will we accept submissions from vendors and consultants. To be considered, the proposal form must be filled out completely. The deadline for submitting a proposal is December 11, 2015. Thank you for your interest in the Revenue Cycle Solutions Summit, and if your proposal matches our requirements, we will contact you. 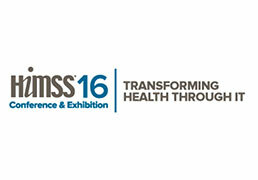 If you have any questions, please contact Program Director Mike Moran at mike.moran@himssmedia.com. WHAT WE'RE LOOKING FOR: Attendees prefer case studies, best practices, and are eager to learn how their peers are addressing common challenges and pain points. As such, we place high value on proposals from payer and provider organizations that offer practical, actionable information and real-life solutions. TOPICS OF INTEREST: This one-day event will focus on how health IT supports the modern delivery system with the technology and tools needed to drive improvement and efficiency throughout the revenue cycle. IMPORTANT #1: Other topics will be considered provided they fit the event's theme. IMPORTANT #2: We are very interested in technology solutions that address the topics-of-interest. DEADLINE: Proposals MUST be received before or by 5 p.m. EST on Dec. 11, 2015.